While some coffee snobs may shrug off and guffaw at the idea of adding in coffee syrup or flavored syrup into their coffee, flavored coffee syrups can truly make a delicious difference in your daily mug of Joe. Some of the best coffee syrup flavors include everything from caramel, mint or peppermint, mocha, cinnamon, cinnamon dolce, vanilla, pumpkin spice, and more. You’ll find that the majority of coffee chains and coffee retailers offer shots of these coffee syrups and coffee flavors. However, if you want to buy your own syrup to use when you make coffee at home, there are plenty of flavored syrups that you can use. All kinds of companies now make their own flavored syrups that are totally delicious, and that we know you’ll love. Monin makes over 70 varieties of coffee flavoring syrups, and you’ll be sure to find one that you love. They have all the regular favorites, like chocolate, mint, vanilla, and caramel. However, they also have a whole bunch of exciting, different flavors you’ll be sure to want to experiment with, including Granny Smith apple, gingerbread and lavender. Torani syrups are great for calorie-conscious coffee drinkers, as well as anyone watching their diet. 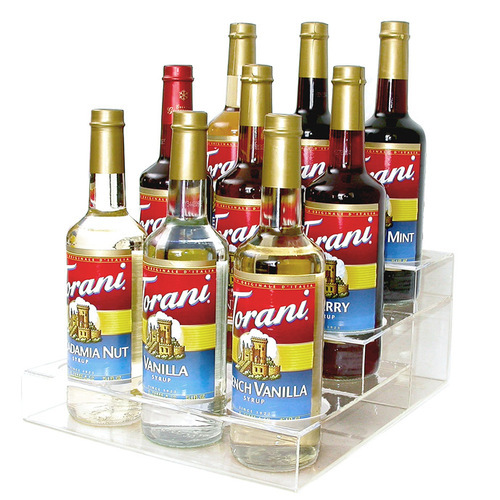 Torani syrups are all natural, have absolutely no fat, but are still incredibly flavorful. They have all kinds of different flavors, including flavors like eggnog, cheesecake, and pumpkin spice. If you love anything all natural, you’ll love Torani Syrups. Da Vinci makes over 60 flavours of coffee flavoring syrups, with their flavours based around chocolate, fruits and nuts – strawberry, almond, and all kinds of different delicious flavors. Stirling makes syrups that are incredibly concentrated, making sure to pack in all of the flavor. Stirling syrups aren’t really that sweet, compared to many other syrups. If you hate the artificial, sugary sweet taste that some other brands of syrups have, you’ll be sure to love Stirling syrups. Stirling also makes low-calorie and fat-free syrups, making Stirling ideal for the calorie-conscious coffee drinker, or people watching their diet. Dolce syrups are Italian, making them ideal for sodas, as well as coffee. They have 35 different flavors, all of which are sugar-free, and even carb-free, making them the ultimate flavor for people watching their waistline, but looking to sweeten and flavor their coffees. Not only are these syrups great with coffee, you can also add a few squirts into cocktails, juices, and even water. It’s a great ideal to stock up on a couple of flavors of coffee flavorings and syrups. I have always loved adding flavored syrups to beverages. I agree with your list of the best flavors to add, like caramel, cinnamon, vanilla and pumpkin spice. I haven’t tried most of these brands you have listed here, but I bet they are pretty tasty!